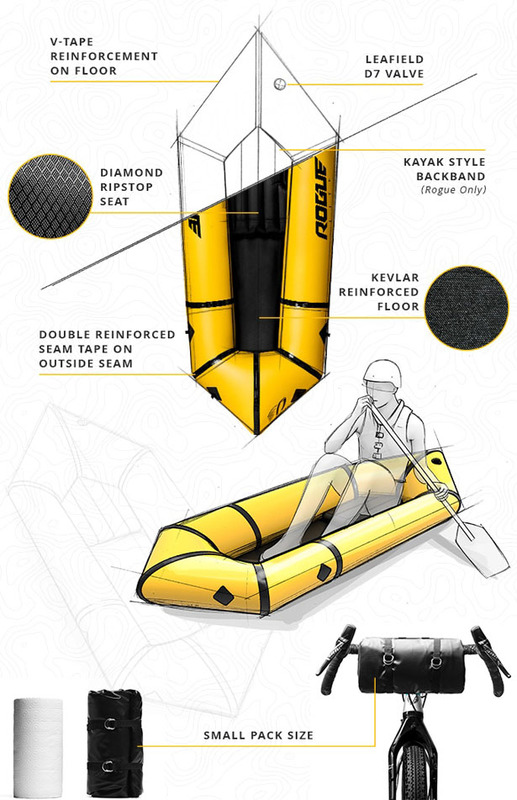 Rogue Packraft is a concept lightweight inflatable raft that you can carry just about anywhere. 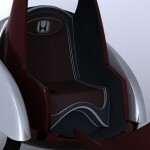 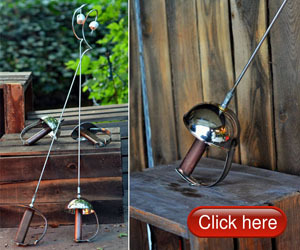 It weighs less than 5 pounds and rolls up into the size of a roll of paper towels. 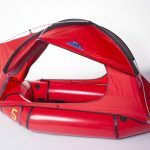 This one-person raft features exceptional durability, a good companion to explore wilderness, especially because it packs in small and portable form. 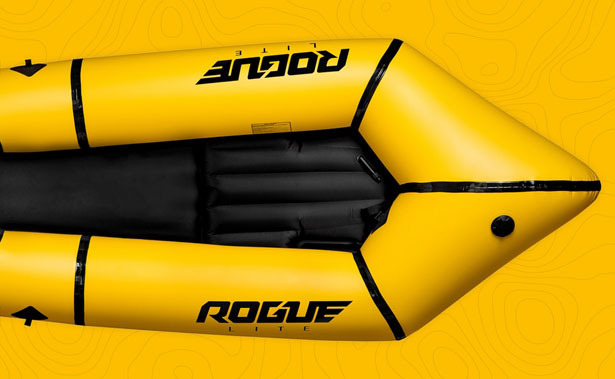 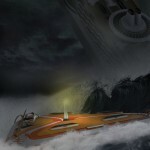 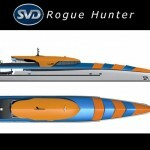 When your path faces a dead-end into the water, you can count on Rogue to continue your journey. 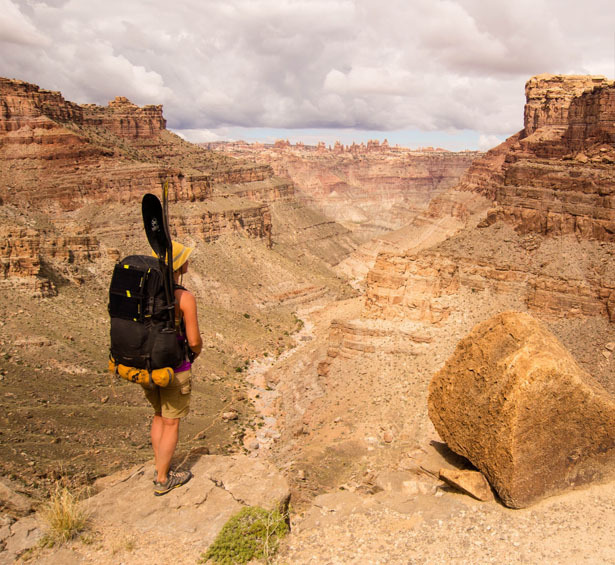 Rogue Packraft by Kokopelli Packraft gives you security, comfort, and confidence in nature. 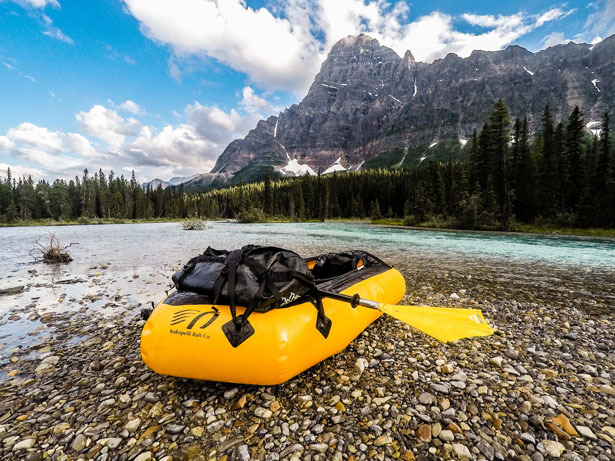 You can enjoy rowing on the lake to fish, rappelling into a canyon to paddle out, or floating down to a remote river, this packraft gives you confidence to find what you seek out there. 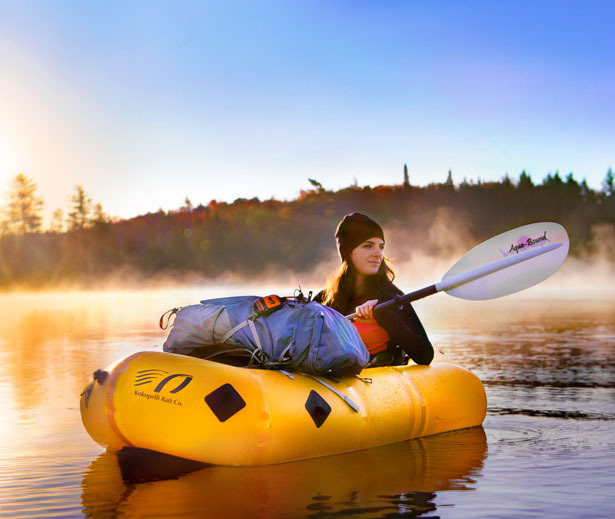 This project aims to provide adventurers with an ultra-lightweigh, one-person, inflatable raft, it is durable to enough for lakes and rivers but can be easily packed into a backpack or on the front of handlebars. 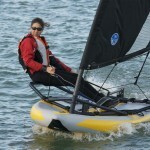 Tagged as inflatable raft design, lightweight raft design, portable and durable raft. 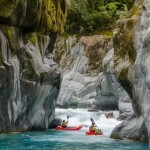 Want to Challenge WhiteWater? 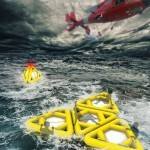 Try Alpackalypse Raft!